Tour the Zoo with a professional guide! 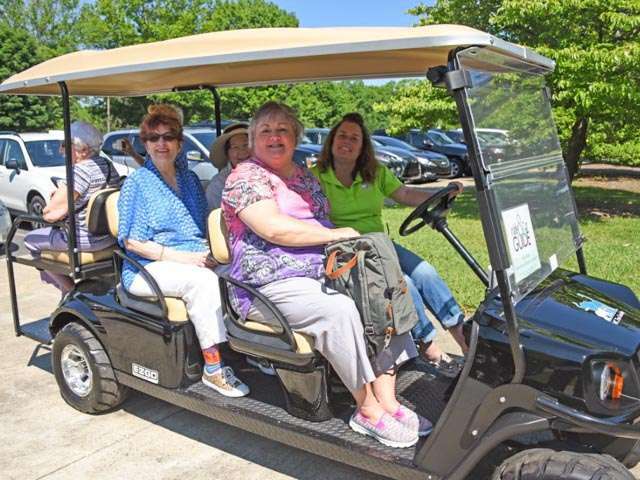 The North Carolina Zoo Society now offers "Ride-and-a-Guide" programs for small groups wishing to visit the Zoo in the company of a Society professional. These programs allow guests to make the most of their Zoo experiences. Zoo Society members receive a $50 discount on all tours. Ride-and-a-Guide tours must be booked in advance. 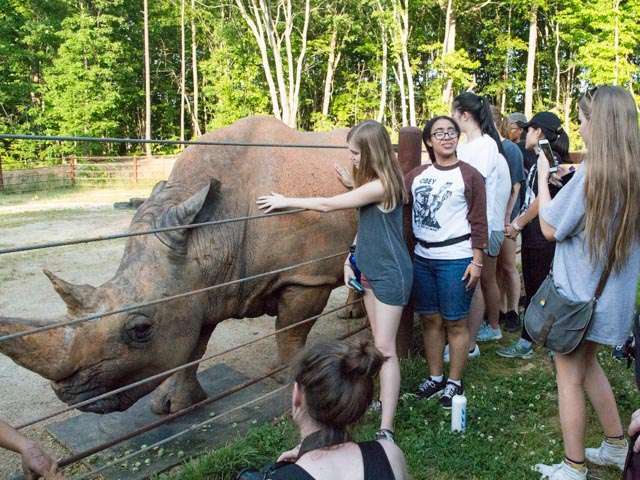 Nearly every Saturday, from late March to late October, the North Carolina Zoo Society schedules a few VIP tours that take guests behind-the-scenes and up close and personal with some of the Zoo's most popular animals. We keep these tours small to allow everyone time to talk to the keepers and, in some cases, to feed the animals.